I’ve had many reservations about Star Citizen in recent weeks, which haven’t really subsided yet. A lot of ideas have wormed their way into the highly anticipated space-sim title over the past few months, but it’s really the space flight and dogfighting that I’m primarily interested in. And even though I’m not on my knees praising this game just yet, I really can’t fault this spectacular dogfighting. Captured by YouTube user Gizimoo86, this short clip from the games ever-expanding Arena Commander mode shows off just how dizzying dogfights in zero gravity can get. It’s extremely difficult to follow, but I expect it’s not that way for the pilot. Having played Elite Dangerous recently, I can honestly say that being in control of the aircraft makes a massive difference to just watching it roll about in space. We also knew that Star Citizen was a gorgeous game, but I think this snippet of gameplay just kicked my brain into submission while reminding me of that. The lighting is absolutely spectacular, and the amount of detail thrown into this duel above a planet is quite remarkable. It’s even more so when you consider that the game isn’t ready yet, and won’t be until next year. 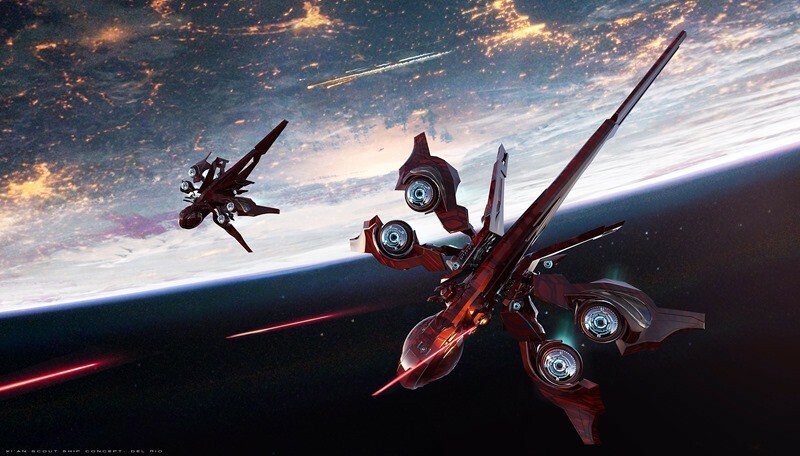 Until then, Star Citizen will continue receiving updates, with major content additions coming every three months or so. In that time, continue throwing money at your screen if you like what you see.